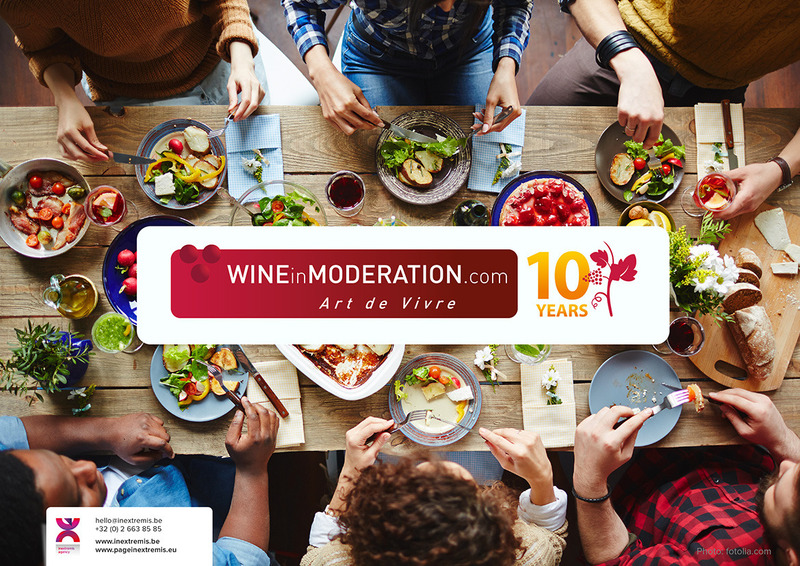 10 years for the programme Wine in Moderation: what an achievement! From the very beginning in 2008, the Wine in Moderation programme has aimed to make a measurable contribution to the way people approach the wine, and to reducing the abuse of alcohol. The progress made has been recognised and referenced as good practice by national, European and international authorities, but with success comes responsibility. Wine in Moderation programme continues to gain momentum and has been established as the reference in Sustainability and Social Responsibility within the worldwide wine business. The WiM Association has selected the communication agency, Page in extremis, as a strategic partner for ensuring a stronger alignment between the messages conveyed by the Association and their visual expressions. Located in Brussels, Page in extremis is a strategic communication agency, involving an experimented multidisciplinary team, building brands and strengthening reputations for leading corporations, institutions and European associations.